Cast: Tom Cruise, Val Kilmer, Kelly McGillis, and Anthony Edwards. Here is Yellow Magpie’s Top Gun film review. Top Gun has often being cited as the film most closely associated with the 80s. It is strange that a film with so many weaknesses is so fondly remembered by many. In fact film director, Quentin Tarantino, memorably misquotes some of the script in the film ‘Sleep With Me’. One could do an honest review of the film and tear it apart starting with the poor dialogue, the barely plausible plot construction and the risibly simplified morality that the film espouses. However, all of this misses the point of Top Gun. It is a film constructed purely around male adolescent fantasy. In the word of Top Gun, people are known only by their callsigns. 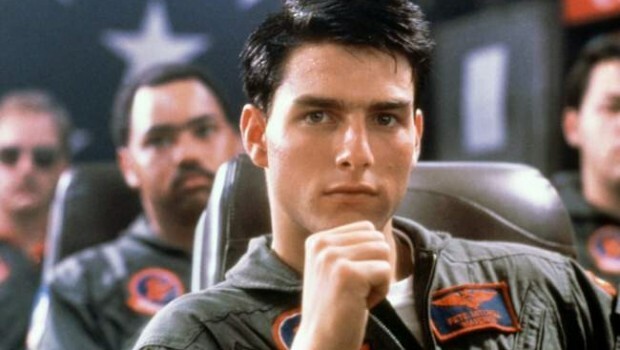 Lieutenant Peter Mitchell, played by Tom Cruise, is known only by one name, Maverick. In short the names of the characters become shortcuts to understanding their personalities. The film follows an incredible dare-devil fighter pilot called Maverick who is sent off to join the Top Gun Naval Academy to train with the ‘best of the best’. 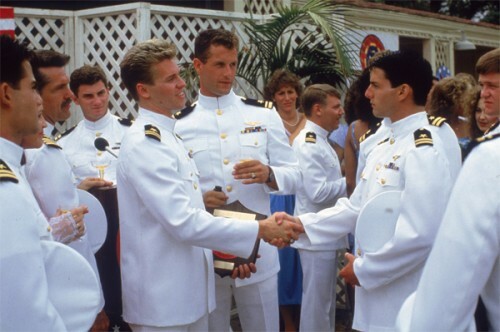 Top Gun has become a cultural icon for the 1980s. Since the film’s release, the US Navy has seen huge interest in people wishing to become fighter pilots. It is also seen by many as being pro-war. One of the reasons why Bryan Adams did not want one of his songs for the film was because he felt it glorified war. He was probably right on that count. The film certainly does make flying a high speed jet, with the twin aims of avoiding your own death and trying to kill your enemy, highly attractive. 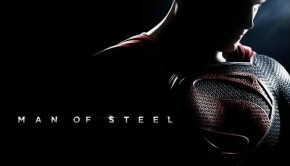 It is this testosterone-driven visceral experience that has proven such a hit with the audience. In the world of heroes, there is no room for shades of grey. One of the key reasons why the film remains so popular can be partly put down to nostalgia. For a lot of people reaching adulthood in the 1980s, Top Gun probably coincides with some of the most significant moments in their lives. Harold Faltermeyer’s synth-lead soundtrack encapsulates the sound of 80s music and therefore it is highly natural to want to recapture and relive those precious moments of your formative years. What a better way to do this than to watch one of the films that typifies a generation. However, nostalgia alone does not fully explain why so many people like Top Gun. So therefore, there must be other reasons. Of course the main reason rests with the nature of the film. Top Gun is conceived out of male fantasy. Everyday normal reality is superseded by the dreamworld of the adolescent, a world in which male desires can be fulfilled. Maverick is the young hero. A guy who is taken very seriously by his peers. He is great with women and girls are driven to his personality, like the oft-mentioned ‘iron fillings to a magnet’. It is hard not to be envious of him. This is a guy that has almost super-human powers. He can consistently out-maneuver locked-on missiles, something that is physically impossible in the real world. His risible chat-up strategies work almost effortlessly and he has the confidence and charisma to make you want to be like him. He is, in short, the male hero that every adolescent wishes to emulate. Nevertheless, this is not all he has to contend with. His competition in the Top Gun academy is of the highest calibre and his adversary Iceman, played by Val Kilmer, is an incredibly talented pilot. Thus Maverick earns the right to be the viewer’s worthy hero. Nearly everyone dreams, in some shape or form, of being in the world of Top Gun. A place where you have the chance to say sophisticated and cool things to impress other people. A place where you can say exactly what is on your mind without fear. A place where you get to be brave and valiant. This is Maverick’s world. In reality not many people have such confidence in themselves and fewer still would manage to get away with having the arrogance to utter cheesy lines in order to snare women in sober environs. Yet, it is precisely this fantasy that makes the film so likeable. You get to take part in an exotic world, a world that bears little resemblance to the world that we walk on. Top Gun certainly will not be winning any awards for realism but then again it is not supposed to. One of the simple joys of any form of art is escapism. The ability to detach from everyday life and leave your worries, cares and tribulations behind for just an hour or two. Top Gun fits this bill perfectly. You might also like to check out Yellow Magpie’s Tom Cruise, Tom Cruise Quotes: The Stalwarth Of Hollywood and Oblivion Film Review: Raising The Bar For Science Fiction Films. You can obtain the special collector’s edition of Top Gun from Amazon here. 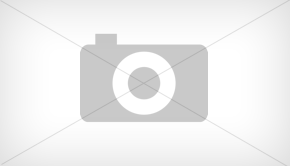 For people living in Ireland or the United Kingdom, you can access Top Gun here. For those who live in Canada, you can obtain Top Gun from here. Yes, a top actor. Thanks for commenting. We hope hope you visit us soon. Hard as it tries, the main review cannot escape identifying the purpose of the 1980s blockbuster Top Gun. First and foremost, it is entertaining, the principal motive of any movie. Second, it’s unabashedly a recruitment film, possibly the most effective made in peace time. After the picture was released 25 years ago, there was an unprecedented clamour to join the US Navy as pilots (or aviators, as the USN prefers to term them). The best of the best eventually undergo special training at an elite school, but the term Top Gun isn’t official, any more than test pilot is. It’s the US Navy’s Fighter Weapons School. The accusation that the movie glorifies war sits a little sadly considering what war is—officially authorised large-scale homicide. Training to kill isn’t easy, and among myriad requirements are a measure of self-confidence and active team work. If, in the process of learning or fighting, a warrior finds the experience glorifying or even glamorous, so much the better if that helps him or her succeed (or just survive). Flying is glamorous to some people, but not to the point of unreality if they’re in the USN. For starters, there’s the little matter of statistics: even in peace time, there’s up to a 25 per cent danger of death, with carrier landings (officially, “recoveries”, as there’s no land in sight) a prime cause. There’s nothing glamorous trying to steer 30 tonnes of metal on to a heaving deck at 250 kmh at night in poor weather. It’s more a qualified crash than anything else. Small wonder if a disproportionate number of astronaut commanders have been from the Navy/Marines, Neil Armstrong, Jim Lovell, John Young, John Glenn and Al Shepard among them. F-14 Tomcat with its crew of two hurtles along the deck propelled by its twin engines on full afterburn and the gigantic, unseen hand of a steam catapult beneath deck. . Some crews accelerate to well past 200kmh in just two seconds. That’s just the beginning of a mission. Naturally enough, there’s a lot of Boys’ Own Annual in Top Gun, and juvenile emotions run rampant. After all, the biggest gun belongs to “Maverick” Mitchell (Tom Cruise, near the height of his action hero career), so he goes to the special talents’ school and into the bargain gets the girl (a flight academic well acted by Kelly McGillis). Val Kilmer, as “Iceman,” is there as a very talented F-14 driver with steel nerves and a Slavic ethnicity suggesting any social boundaries are long gone (the USAF was always different, particularly as regards drinking, banned in carriers). 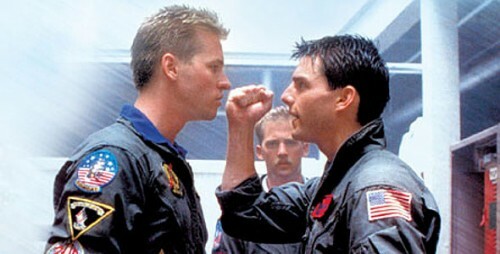 Top Gun is well worth a look. Even if just to see where your tax dollars are going. It won’t turn your kids into war lovers. If Richard Nixon, Ronald Reagan and George Bush Jr. all failed to do that, the whole family can view this movie for its generous entertainment value, in complete safety. Thanks for your comment, Tim. It was both excellent and insightful. 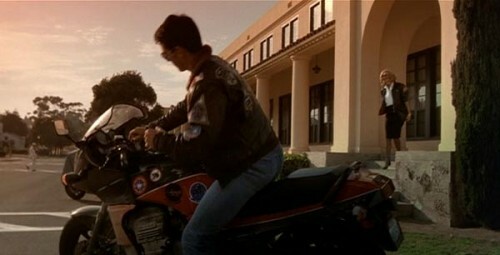 Top Gun captures the fleeting feelings of youth wonderfully. Although probably best to add male youth! Thanks for taking the time and the thought to compose a well-worded and well-written piece. We hope you become a regular commenter. I love this movie…and in a way that most others can only dream of. I’ve taken it and lived it to it’s full extent. I am a naval aviator! I knew from the moment I watched this movie at 8 years old that I would be satisfied with nothing less than being maverick. Call is a cliche, a fantasy…whatever you like; but it is my reality. I had a goal, and I’ve achieved it. How many people can say they grew up dreaming of doing something and actually did it? Truth is you can do anything you set your mind and efforts towards…fight hard enough and anything you want is within reach. Aim for the stars, fight like hell and you dreams will come true! Thanks for your comment, Bob. It is a highly entertaining film that has a huge number of fans.